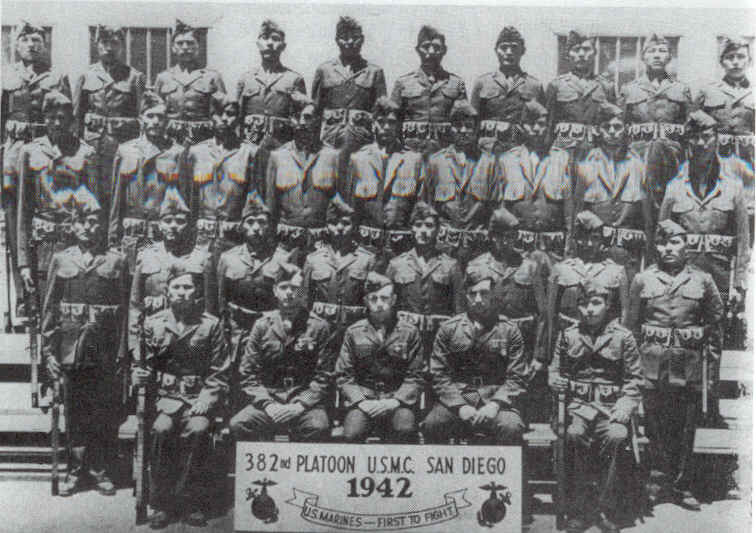 I was fortunate enough to be able to share this amazing story of a Kiowa captive. Sure, it’s been told before but this was to be the first time told from the Native American side of things. If you’ve ever seen “The Searchers,” this is its source story … but way cooler. A rare photo of Millie Durgan late in her life. 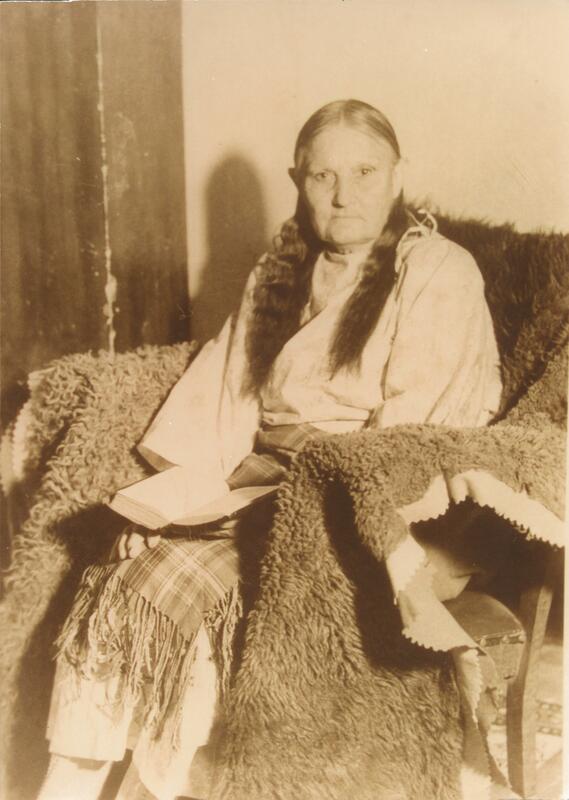 She was taken in 1864 from her Texas home at 18 months and lived a lifetime as a Kiowa woman before passing in 1934. The tale of Millie Durgan is one woven from the fabric of many stories. Elements have been told through time, including in the noted book “The Searchers,” which inspired a movie that starred John Wayne. 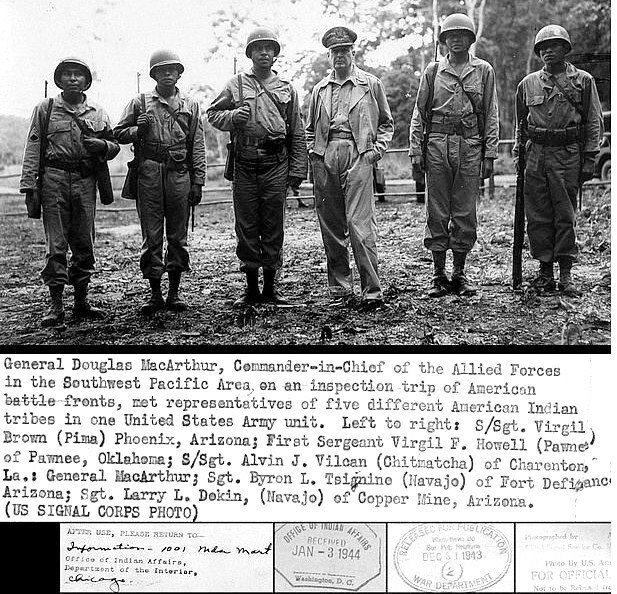 During WWI, the Choctaw language had been used to transmit U.S. military messages. With this thought in mind, Philip Johnston, the son of a missionary grew up on a Navajo reservation and spoke the Diné tongue fluently, brought the suggestion of a similar code to General Clayton Vogel early in 1942. The Diné language has no alphabet, uses no symbols and one sound may hold an entire concept. The idea was tested and proved to be faster and more reliable than the mechanized methods. The language has more verbs than nouns, that helps to move the sentences along and makes it far more difficult for outsiders to learn – making it the most ingenious and successful code in military history. Any Native Americans in your roots? I have had several researchers tell me they have Native American roots and were trying to research that possible connection. Sadly, it isn’t as easyresearch project as it should be, partly due to the culture of Native American’s and partly due to our government. There is a site out there that can get you started in the right direction if you know or have an idea of the tribal nation your relative belonged to. Native American Nations has pages listed for many tribes, which may help you find a resource in locating that link to your suspected Native American lineage. Ancestry.com also holds the US Indian Census rolls from 1885-1940. For a fee, you can search those records, keeping in mind, they do not contain the amount of information the regular census does. A few other resources to check: Tribal Directory and the Tribal Leader’s Directory. Gardening and Composting, History, Native Americans, Northern Arizona and tagged Arizona, Drought, Native Americans, Photos. Nine Hundred years ago Native Americans braved the elements and survived in Northern Arizona. The climate they thrived in was different than it is today. They were able to plant and raise crops that along with native plants and hunting provided them with enough food to survive. The Box Canyon and Lomaki pueblos show the ingenious use of the natural geography to provide water to drink as well as raise crops. These people were masters of Sustainability. Collecting water from overland flow was how they grew their crops. Why they left is mostly a mystery. What research has been done points to their exodus being caused by an extended period of drought! Without water to drink or grow crops many of the Native Americans in the Southwest left this environment and settled in the Southern Colorado foothills and other locales that would provide them with the necessary water of life.